Web 2.0 is often described as the ‘read-write web’. I use the term ‘read-write learning’ to characterise a form of constructivist learning which is not necessarily social but incorporates learning activities where learners generate knowledge in their own words. My first real experience of read-write learning using computer software occurred in 1984. It was my second year of teaching, and I had a class of about 30 eight to nine year olds. One topic we were to study was the Solar System, a topic about which there were plenty of books for reference. 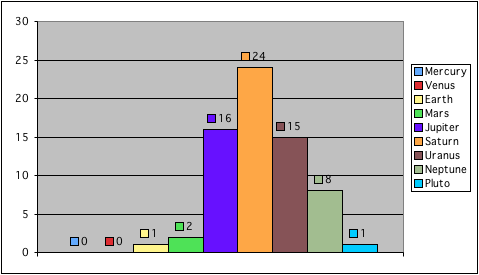 I also set up a simple database which had a record for each planet, and entered some information about each planet. 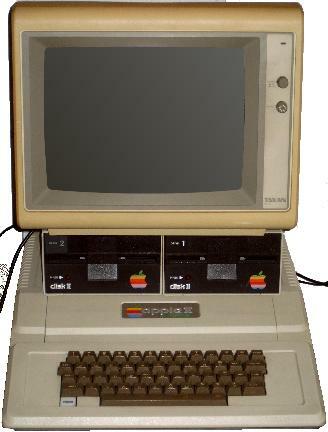 In those days, there were very few computers in school classrooms, so I used to take my Apple II computer in each day on the back seat of my car. I found the students enjoyed using the database to look up information – in those days it was quite a novelty to have a computer in the classroom. They were also able to enter information which was missing and add to what became a communal store of information. The database soon held information drawn from a number of sources, and there was a sense of shared ownership of the information. As well as paging through the planets or searching for one by name, students could view a table of all the planets. This table could be sorted in various ways: for example, alphabetically by planet name, or numerically by distance from the sun. This allowed students to investigate relationships such as that between distance from the sun and surface temperature. The database software made it easy to re-arrange information and compare records. While some students were content to access the information, others clearly exhibited curiosity and a greater desire for active enquiry. How do astronomers discover new satellites? Another interesting learning process took place when a student discovered that planets close to the sun had few satellites, while those further out had more. On investigation, it turned out that those furthest out also had very few satellites. This led to discussion as to why this was so – none of our books could help, but we did come up with some fairly plausible explanations. I was pleased that most of my students enjoyed browsing through and collaboratively updating the database. In addition, the process of enquiry in which some students became engaged emphasised for me the important role that software tools can play in promoting high-level learning. This entry was posted in Learning technology, Pedagogy and tagged application software in learning, database learning activity, read-write learning, software tools for learning on November 16, 2006 by Paul Left.